“No, dad, I didn’t.” I could’ve done a quick YouTube search for the cheap number she performed in front of a green screen, “In My City.” I just knew it wouldn’t be good. Dad’s excitement left me despondent. I had a suspicion this was the beginning of — if not the end — Chopra’s whitewashing. As a South Asian, I’ve laid claim to an image of Chopra that I cherish. But it might be time to let that picture go. Either Americans have “beige-washed” this woman into a sort of ethnically ambiguous entertainer. (This didn’t take more than two years.) Or Chopra, 2015’s breakout star, has actively positioned herself in this light on her path to capture the attention of Western audiences. Chopra didn’t land the lead on Quantico just like that. Her journey to primetime television’s most coveted timeslot has been years in the making. In an interview with The Guardian, Chopra calls herself a “triple threat” — indeed she is a force. In a very unique way, Chopra has earned a special place of adoration in Hollywood, since her talent extends to so many areas of entertainment. She sings — her single “Exotic,” featuring Pitbull, topped charts the summer of 2013). Models — she became the face of Guess in 2013). Dances — and not just Bollywood, but also Hindustani classical dance. And, of course, acts — she’s done over fifty Hindi films to date. Chopra, so much in demand, is working harder than ever. 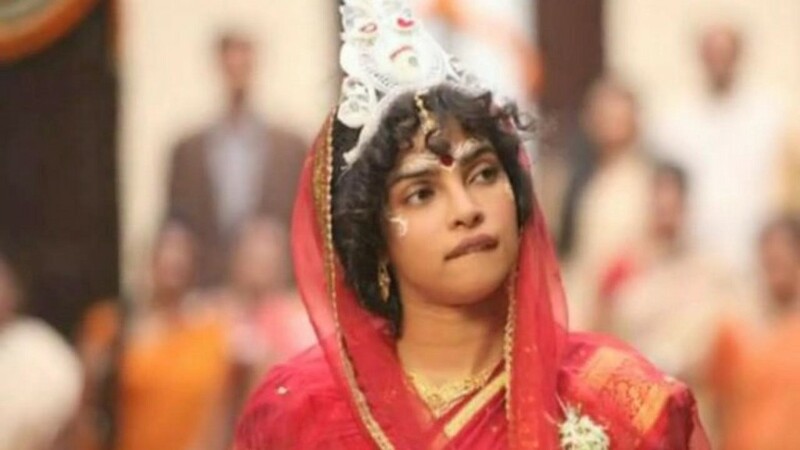 Last year, she boarded over a thousand flights between India and the US, while shooting the Bollywood epic drama Bajirao Mastani and episodes for Quantico simultaneously. But here’s the thing. At the risk of diminishing how talented, intelligent, and beautiful Chopra is, it’s easy to forget that this is a woman whose time, whose every decision is carefully managed. Anjula Acharia-Bath has only one client, Chopra. In 2006, Bath, along with two others, founded Desi Hits, which produces and distributes entertainment content aimed at diasporan South Asian communities. Bath got Chopra in front of the right people in Hollywood and has been integral in maintaining and advancing Chopra’s success. We don’t need to ask what kind of success this has been. The endorsements, the awards, the appearances — it’s all very shiny and clear. The question in my mind, though, is the extent to which Americans are mainstreaming (beige-washing?) Chopra. Or is Chopra still upholding an unadulterated, racialized understanding of herself as an entertainer? I’m wary of how insidiously Hollywood repackages an individual (and aren’t all stars sold to us as products?) and makes them consumable. 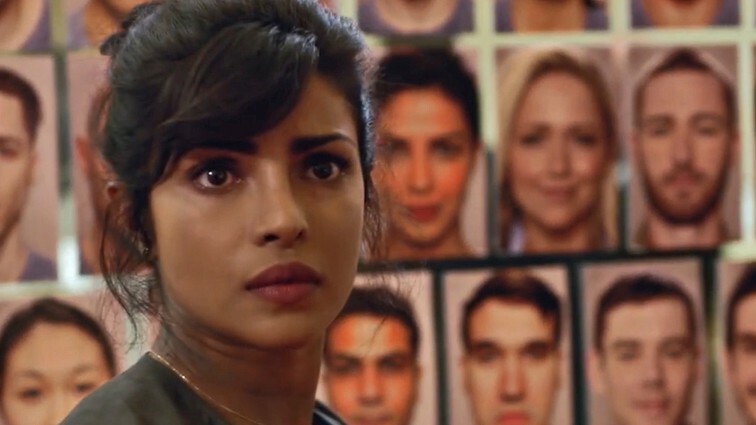 On Quantico, Chopra has a whitewashed name, Alex Parrish (which is explained by her white father), and an all-over-the-place accent, sometimes landing in South Asia, sometimes somewhere in the Western hemisphere. But roles are tricky things. Sometimes, they’re the only way we know an actress in real life. Think here of the phagocyte, the cell that devours harmful cells inside of it. As societies we either swallow or expel difference. In order to manage the threat of Otherness, people in power may neutralize and absorb alterity within the boundaries of a social group. Or they may reject difference and cast off foreigners, thereby maintaining the illusion of order. Chopra will star in 2017’s summer blockbuster Baywatch. (I’ll probably wait for the release on iTunes.) My best guess is she’ll fill a Yasmeen Bleeth–type role. A dark-haired, ethnically ambiguous woman with a body that moves in all the right ways when she runs. Yet I have a hard time letting go of the Chopra who played Jhilmil Chatterjee, a woman with autism, in Anurag Basu’s 2012 film Barfi! And I want to hold onto her as the shy ingénue who rose to supermodel status as Meghna Mathur in the 2008 drama Fashion, for which she won a Filmfare Award for Best Actress. Neither of these performances was mainstream by Bollywood’s standards. These roles aren’t necessarily more authentic for Chopra. But through them, I can retain Chopra’s difference without diluting it, without relinquishing it in a sea of American lifeguards. Does Chopra’s impending role in Baywatch cheapen my view of her? No, but I question the moves Bath is making in managing her career. If this is what Chopra wants, if this is how Chopra aims to be recognized within Western media, then that’s fine. This essay is moot. I just know Chopra can do so much more. Chopra’s whitewashing isn’t intentional. America wields the overwhelming power to either absorb or dislodge difference. Mexican immigrants get fenced out or deported. Black trans women are murdered. All while Chopra gets binge-watched on our laptops the country over. The media have positioned Chopra such that she isn’t too ethnic — but just ethnic enough. This is the only way she’s recognizable — almost othered. Sure, Chopra is treated better than our South Asian brothers and sisters who have been represented in the media before her — but is whitewashing necessarily better than outright stigma? Chopra could be anyone. That’s precisely her allure and her downfall. I’m hard-pressed to see whether she can retain elements of her particularity, of her brownness, the more roles she takes on. This is the underside of how voraciously she’s being consumed today. Ultimately, Chopra becomes a palimpsest upon which we all project our anxieties, aspirations, and aspersions. We need her to be something to each of us. But the answer depends less on which ethnicities are consuming her and more on who’s shaping her.